One of the most frustrating misconceptions I see is that someone who chooses not to breastfeed must be anti-breastfeeding. That’s about as logical as someone implying that I’m not a professional actress because I’m anti-acting. Hell, I love acting. I spent most of my life studying it, and I was actually pretty good at it. But ultimately, the life of a professional actress wasn’t a good fit for me. I made a choice, and I feel very confident in that choice. But that doesn’t mean I don’t love it. It doesn’t mean I don’t love watching my old drama school friends succeed. Sure, sometimes I get a twinge, missing what it felt like to be on stage or on a set, but I know I made the right choice. Your “right” doesn’t need to be my “right” for us to mutually respect and support each other. My choice isn’t a condemnation of yours. And I love how Tif’s story illustrates this. It’s everything I believe in; everything #ISupportYou stands for. I love the idea of breastfeeding. The thought of my body providing the sole nourishment for my child, the closeness of the bond. The idea, I love. But sometimes, it takes more than loving an idea to make it work. With my first child, I had full intentions of breastfeeding. I was young, still in college, and naively believed that nursing would come naturally, that our little girl would take to it immediately, and that we would have a long-term nursing relationship. At the hospital, I should have known something was wrong when she continuously pushed against the breast, refusing to feed, even as the nurses tried to show me correct positioning before eventually giving up and essentially leaving me to my own devices. A week into breastfeeding, I gave up. I was sleep deprived (as all new mothers are), crying at each nursing session because my child would not stay awake long enough to get a significant amount of milk. We tried everything: stripping her down to her diaper, wiping her down with a cool washcloth, tickling the bottom of her feet. She would not nurse for more than a couple of minutes without drifting off. Nursing was also intensely painful because she would not open her mouth wide enough to get a good latch. This was not only frustrating, but worrying. When we returned to the hospital for her checkup, she had lost more weight, her jaundice had gotten worse, and the nurses hounded me about my breastfeeding habits, insinuating that I was doing it wrong, that I wasn’t trying hard enough. So I gave up. The guilt ate at me for weeks, for months. Even as I began my senior year in college and knew that the busyness of classwork would have made nursing difficult at best anyway, I felt like a failure, like I didn’t try hard enough to give the best to my child. Eventually, though, the guilt faded to a dull ache and by the time she was walking and talking, had vanished completely. When I found out I was pregnant with baby number two, breastfeeding was a priority. I would be prepared this time. I read every book I could get my hands on. I bought a nursing pillow, bras, and did not purchase bottles for fear that it would make me likely to give up. Little One’s little brother was born, placed immediately on my chest, and given an hour of skin-to-skin contact before he was taken to the nursery. During this time, I tried to nurse him, hoping that the searing pain I’d experienced with my first would not be present. But it was. And I hoped, as they took him to get checked out, that it was just due to the newness of the experience. This time, the staff at the hospital was a bit more helpful with my breastfeeding attempts but the lactation consultant seemed hurried each time I saw her. She would come into the room and ask me if I was doing okay. I expressed my concerns to her, but since Little Guy was asleep each time she came, she said she would come back later when he was awake. She never did. I left the hospital with cracks and black bruises and once again, a baby that would fall asleep at the breast without consuming enough because he could not get his mouth wide enough. By the third day at home, Little Guy had only produced two wet diapers in a 24-hour period. He was increasingly more yellow and lethargic. I cruised internet forums and groups, looked at pictures, and realized that it seemed he had an upper lip tie that prevented him from opening his jaw wide enough to get a good latch. That night, I broke down, drove to the grocery store and purchased a bottle and a can of formula. He took to it immediately, wide-eyed, and seemed satisfied for the first time since he’d been born. I could have tried harder to nurse. I could have taken him to specialists and gotten his lip-tie clipped, and worried for days or weeks or months that he was getting enough while pushing through the stinging pain of feeding. But I didn’t. And as I gave him that first bottle, I did not feel the shame or guilt that I did with my first, whom I’ve since checked and realized also has a significant upper-lip tie. I did not feel like I had failed my son. Instead, I felt immense relief that he was getting nutrients and for the first time, saw him as my child, this tiny human I had brought into the world, rather than an obstacle to overcome. I love when breastfeeding works out. I love when mothers nurse in public and always try to give an encouraging smile when I see one doing so. I love when children nurse to two and three and four years, unabashedly. I love the benefits that nursing provides mother and child. In theory, I loved breastfeeding. And then, I didn’t. I am writing this, not because anyone has questioned my choice. My family has been beyond supportive, had told me that sometimes, what’s best for one is not best for all. And I am not writing this because I feel guilt or shame, because I don’t. And for that, I am so grateful. I am writing this for me. To remind myself that I tried. But it didn’t work out. That the decision I have made is okay. That it would have been okay if I had chosen not to nurse at all or nursed until my children started school. 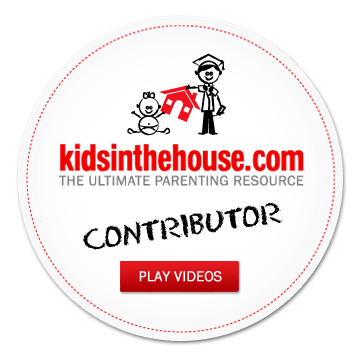 I am writing this because parenting cannot be condensed to one decision. I am writing this as, miraculously, both children are napping, and I can take this moment to reflect on the past two years I have spent with my smart and funny and amazing daughter. And I am writing this so that I may look back weeks or months or years from now to remind myself that her little brother began his life just as she did: warmly welcomed by friends and family, by loving parents who have a desire to do what is best for him just as I believe we have done for his sister. And I am writing this, most of all, as a reminder of what is really important. They are happy. They are healthy. We are content. Feel like sharing your story? Email me at formulafeeders@gmail.com. It can take up to a year for stories to be published, so don’t panic if you don’t hear back for awhile!